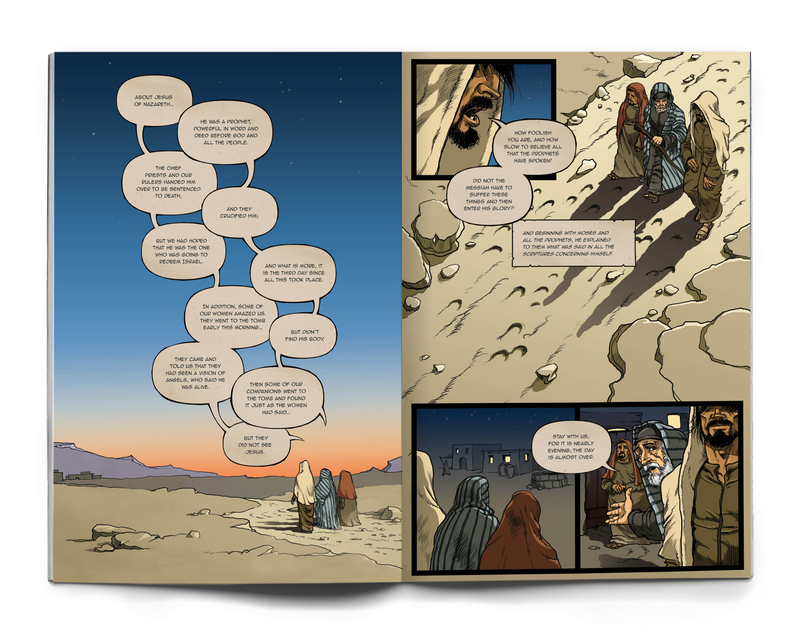 Stunning new edition of this graphic-novel-style book faithfully illustrating the unadorned NIV text of Luke's Gospel. 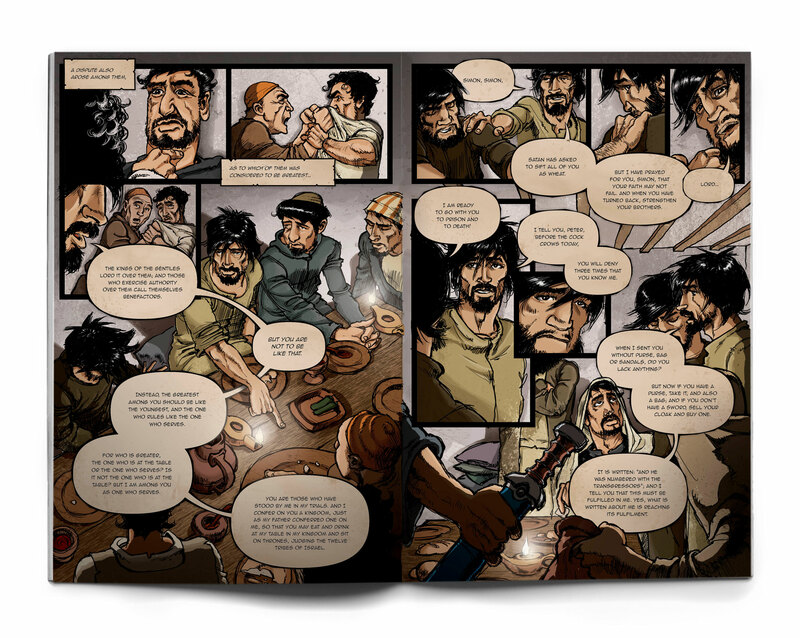 A new edition of this stunning graphic-novel-style book, faithfully illustrating the unadorned NIV text of the gospel of Luke. We bought some of these as a church to give away at a family fun day. They are really attractively produced, designed and drawn, ideal as a gift for older children/ younger teens and were gladly taken by non-Christian kids there. My boys (9 & 7) persuaded me that they needed to have a copy too and have absolutely loved it. What a great way to get kids to engage both with the story and actual text of Luke. 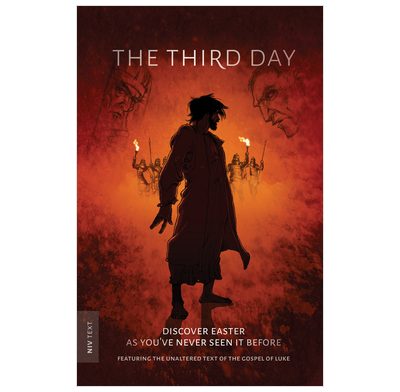 Great comic book, graphic novel style account of Jesus from the last supper to the cross and resurrection. 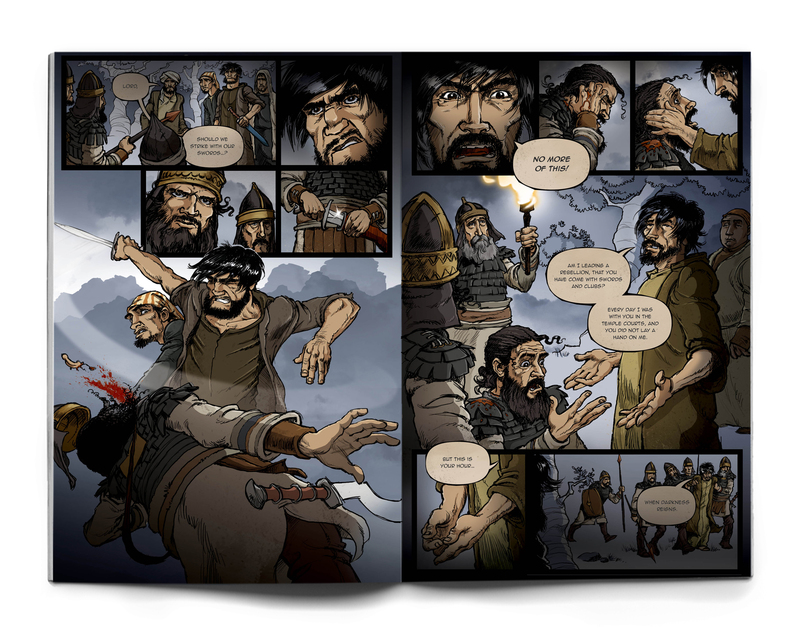 Really good artwork, unlike other comic bibles it's the exact text from the bible, from the gospel of Luke. Made a great gift for our teens. My 12 year old granddaughter, for whom the book was bought, found it realistic and gripping. She thought the illustrations were excellent and suited the subject. She would give it 4 stars.